Database Systems Corp. (DSC) is a leading technology provider for the call center industry and has been providing computer software and services since 1978. 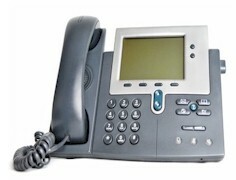 DSC has developed a series of call processing phone systems including voice mail marketing solutions. What Is Voice Mail Marketing? "Voice marketing using an automatic voice mail broadcasting system can send thousands of prerecorded phone messages to call recipients at once. Messages are delivered to either live contacts or to their voice mail or answering machines. Voice mail broadcasting technology has both commercial and community service announcement applications. This powerful technology can be abused if used by spammers. Therefore, it should be employed only for legitimate contact purposes and should follow all state and federal guidelines." DSC voice marketing systems are intelligent. Besides offering the ability to detect a live answer versus a voice mail system, our phone systems can properly deliver a unique message to the voicemail without truncating the message. If our voicemail broadcasting system detects a no answer condition or busy signal, the message can be rescheduled for delivery later that day or into the following day. Contact DSC to learn more about our voice marketing phone services and systems. To learn how to use our voice broadcasting services, click on the Voice Broadcast Quick Tour. (Popups must be enabled on your browser). For a list of other applications and services provided by DSC, please visit our phone applications web page. Express Digital Graphics, Inc. has contracted with Database Systems Corp. to provide voice marketing services to its clients. Because of its seasonal business, Express Digital sends out voice marketing reminders to its existing clients several times a year. Besides offering an industry leading voice mail broadcasting system, DSC provides voice marketing services using our own secure call center. In most cases, your voice marketing applications can be developed and running on the same day. Our online voice broadcasting service is a self managed program that lets you maintain your calling programs using our secure website. Customer lists and voice recordings can be downloaded via the web to our call center and your phone campaign can be initiated online as well. For emergency voice broadcasting, we even provide an 800 number to call to launch an emergency broadcast to your employees or community. One of the most important features included with our voice mail broadcasting systems and phone services is our extensive voice marketing reporting. These phone marketing reports provide our clients with a complete view of the performance of their phone marketing campaigns as they are progressing. These reports are maintained online and provide important feedback that lets you observe and control the performance of your phone marketing programs. 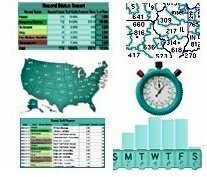 Statistics and Graphs let you measure the effectiveness of each phone campaign as it is running. Contact DSC to learn more about our voice mail broadcasting services and voice marketing solutions.